MAYSVILLE, Ky., April 4, 2019 /PRNewswire/ -- STOBER has released the next version of STOBER FITS with the STOBER Configurator. This project has been in development for over 2.5 years and meets many of the requests our users had, such as on-demand CAD drawings. 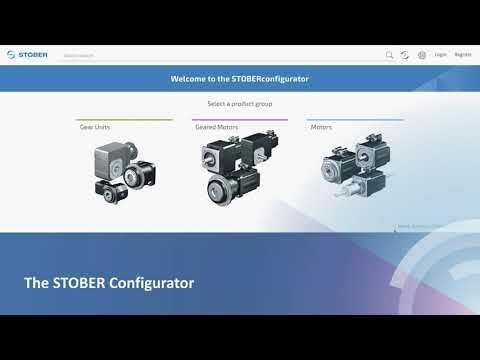 With the new STOBER Configurator, engineers and designers will save time in product selection and designing. Before the configurator, they searched through catalogs to find the right solution, request information in multiple places, and use type code values. Now, everything is a simple click away. Watch the video for a quick overview of the new configurator! Quickly and easily search for gear units, geared motors, and motors. Intuitive navigation and modern design make using the tool fast and easy. Numerous filters and comparison options are available. Results can be sorted based on price, performance, or size. Users can then configure the product to meet their application requirements. For example, with geared motors, users can pick their shaft and housing style along with mounting position. Designers can access technical data sheets, dimensional drawings, and 3D models. They can also request a quote. All configurations can be easily shared or saved. 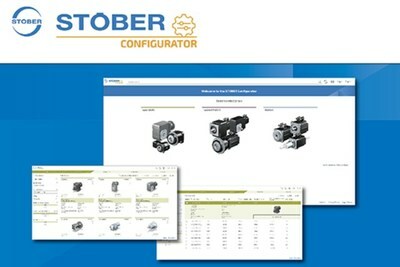 Make it yours – visit configurator.stober.com.